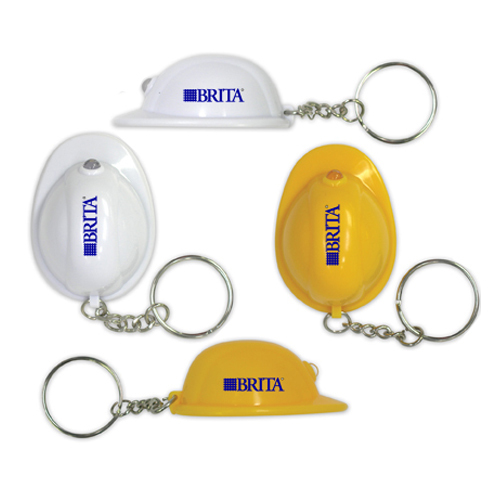 Hard Hat Flashlight Key Chain | Promotional Hard Hat Flashlight Key Chains imprinted with your logo. 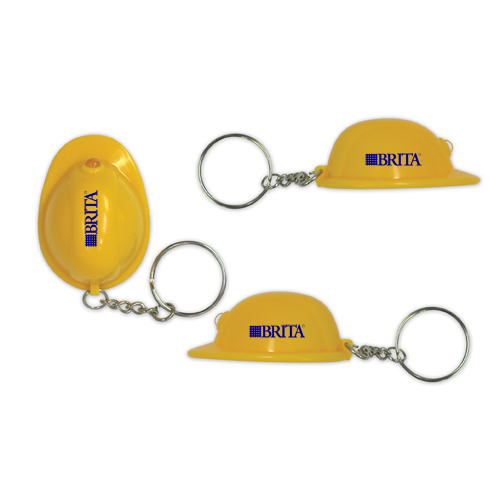 Hard Hat Flashlight Key Chain. 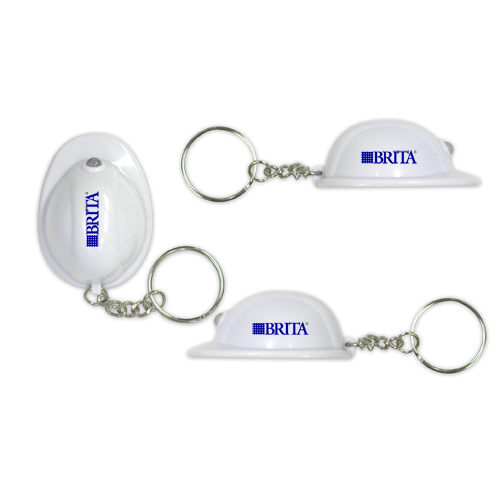 Safety is the image that comes to mind with this interesting bright key light. Bulk / 23 lbs lbs / 500 pcs. Imprint Area: 3/8" x 3/4"